It’s an annual tradition: every year, people make New Year’s Resolutions aiming to improve their lives. While there are a few self-based goals I have for 2016, my major resolution is to become a better parent to my children. Everyone wants a photo or video of my children and their latest shenanigans. I get it. They’re little. They’re cute. People want to see them. But, I’m their mom, and I want to spend quality time with them. Quality time that doesn’t involve sticking my iPhone in their precious little faces. Quality time that involves me actually looking at their faces in real life – not through a lens. I vow to make more memories, even if it means less digital evidence. I have the habit of doing a lot of things for my kids and talking to them about none of it. I feel awkward about “narrating” tasks to my kids, but it’s been researched and confirmed that the “mindless chatter” I avoid is actually good for developing verbal skills in children. So, I will make a concerted effort to talk more to my kids, even if I’m just telling them about the dish I’m washing (wow. I already foresee a lot of eye-rolling in my future). So often I find myself so “busy” I don’t “have time” to play. But, if I’m being honest, if I have time to know what my friends from high school and college are doing with their lives based on social media, I definitely have time to put down my laptop or phone and just play. It’s part of living in the moment, but it’s also vital to my children’s development. Although most people would agree I’m outspoken and opinionated, it’s my dirty little secret that I am a softie at heart. I have a really hard time saying “no” to people and putting my foot down for my family, even when I know a situation will be awkward, uncomfortable, or un-fun for my family. I need to start saying no to things that are not essential or important for my children. They’re not dolls; I’m not going to keep dragging them from place to place because someone asked me to. Agonizing over my family’s future doesn’t help anything. I need to start taking action or stop thinking about things full stop. I am robbing myself of amazing moments because I’m stuck inside my own head. Worrying doesn’t fix a thing. I can’t control or predict what my children will decide to do with their lives in 10 or 20 years. All I can do is enjoy right now. 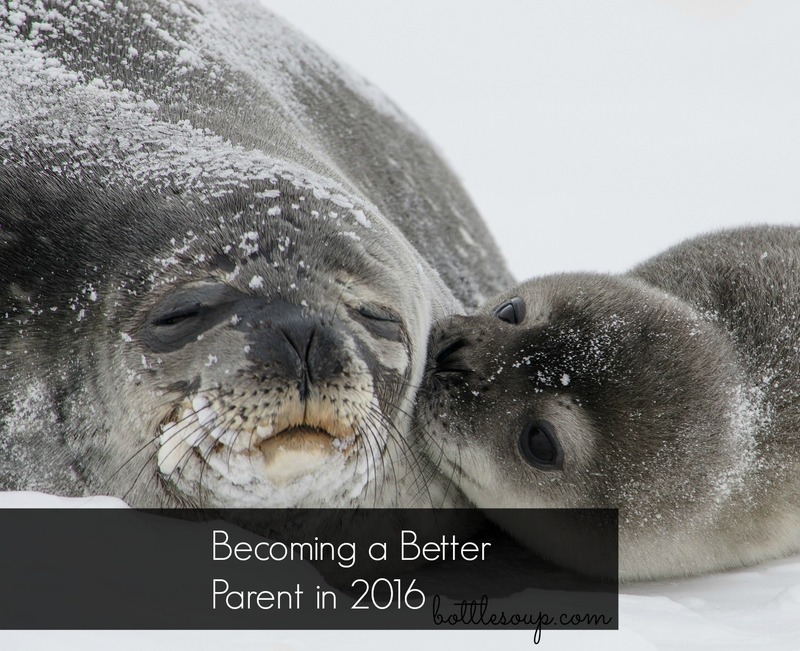 What are your parenting resolutions for 2016? 🙂 I’d love to know what your goals are.